Ready to drink field blend of Pinot Noir, Cabernet and Shiraz, Tempranillo, Merlot with a splash of Zinfandel. After a year in French oak, this unusual variety has lively aromas of raspberry, bright red fruits and rose petals with a crackling acidity and a refreshing talc like finish. Put a little chill on it for an excellent summer red. The wine opens with an intensely perfumed nose, showing wild strawberry and redcurrants with hints of violets and wild fennel. 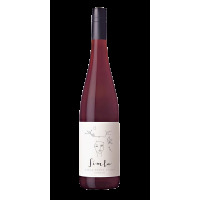 Medium bodied, the palate is sweet’n’silky, full of juicy red fruits, with fine/chalky tannins. This wine has great length and persistence, with a wonderful fine spice and lively acidity to finish.